No matter what the occasion, adult party themes make party planning easier, instantly providing ideas for activities, food and decorations. A Christmas decorating party is just one possible theme to consider for the holiday season. Serve your guests festive Christmas cookies and eggnog and play a mix of Christmas tunes to set the mood for the party. For a special touch, you can give each guest an ornament to take home for their own tree. Ask everyone coming to the party to wear an ugly Christmas sweater. You can award prizes for the silliest, ugliest, most unique, and funniest. Make it an annual tradition to hold this party each year and see who can come up with the ugliest sweater. Grab some girlfriends and book a day at the spa. Celebrate the new year with manicures, pedicures and a relaxing spa treatment. Bring a bottle of champagne to toast to the new year and some snacks such as fresh fruit and chocolate. You can set up a buffet with finger foods and as a decoration, have a cake decorated in a spooky style. To set the mood, play creepy music and have vampire movies playing on the t.v. Calling your event a masquerade adds a touch of class to a traditional costume party, making it more appropriate as an adult party theme. Keep extra masks on hand, and offer guests a chance to create their own decorative styles. Masquerades are traditional Halloween and Mardi Gras affairs, but any holiday is fine for an evening of intrigue. The Fourth of July is a theme in itself. To add more to this holiday celebration, use a theme such as a rib or barbeque cookoff. Ask your friends to bring their favorite recipe and ask guests to judge whose dish is the best. Be sure to have side dishes made and plenty of drinks to serve your guests. You can do this type of party each year and have a different item featured as part of the contest. Who says cookie baking is just for Christmas? Gather your friends for a fun day of baking Valentine's Day cookies while enjoying each other's company. You can either have cookies made in advance and then get your friends to decorate them, or find a recipe and create them from scratch. Have decorative containers on hand so your friends can box up a batch of cookies to take to their sweeties. You can turn any holiday into a memorable celebration by incorporating a fun theme into the mix. A theme can be as simple as picking one holiday color to carry throughout the party or as elaborate as decorating your entire home and self to fit the theme. 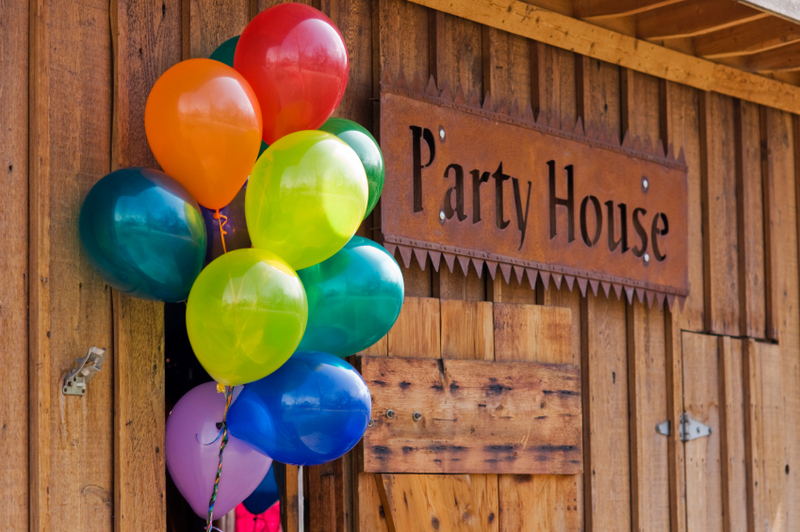 There are endless ideas to consider that can be used for your next big bash.